Over the past week, I have been busy preparing for a presentation to gain entry into one of SMU’s supposedly elite CCAs and now that it’s finally over, I wanted to celebrate the end of this crazy week with a nice dinner. Olio Cafe wasn’t the place I had in mind to give myself a treat, but I guessed it had to do since I was in a rush for time for Fried Rice Paradise the Musical @ The Esplanade (all thanks to complimentary tickets from T). One of the 2 cafes (the other being Dome Cafe) operated by Suntec F&B Holdings, I wasn’t particularly expectant of good food since my last meal at Dome wasn’t exactly memorable. 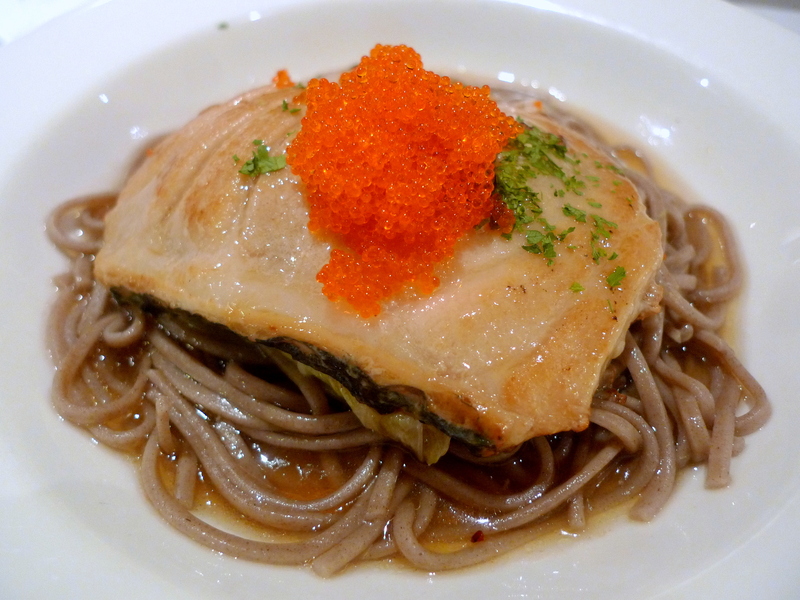 The Braised Cod Fish($15.90) came with a Japanese twist, served with cabbage mushroom roll, soba and topped with tobiko (or is it ebiko?). Light on the palate, the portion of cod was generous and most importantly, it sure was tasty! 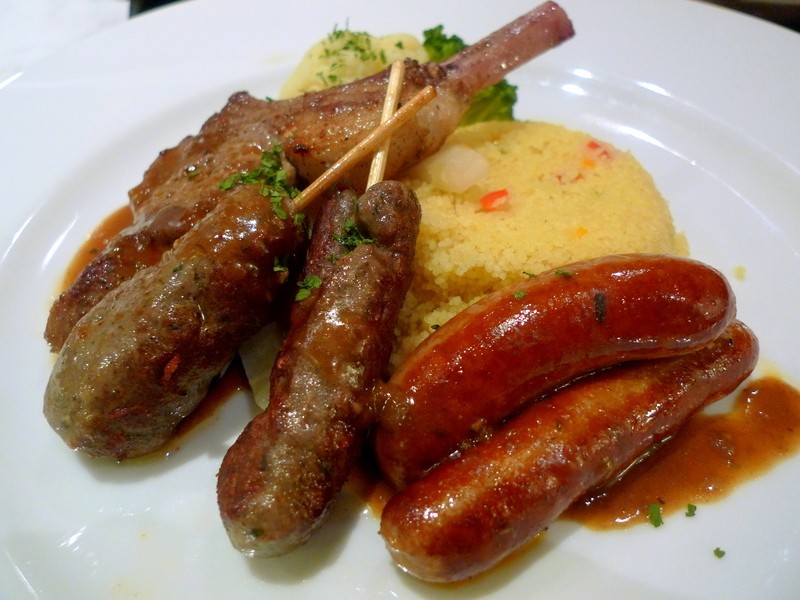 AD ordered the Moroccan Mixed Lamb Grill($16.90) which consisted of lamb rack, lamb skewers and spicy lamb sausages, served with raisin couscous and topped with cumin sauce. While the variety and portion was impressive, there was a distinct gamey flavour from the lamb rack. 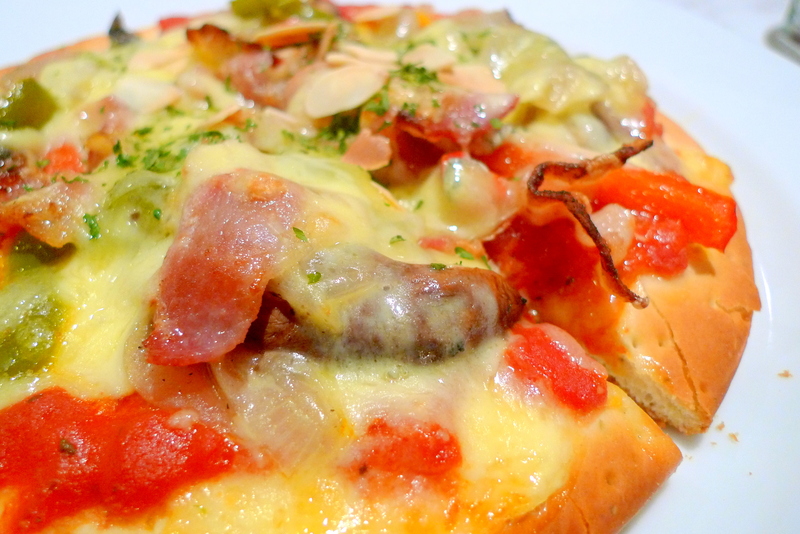 MZ didn’t want to eat too much so she decided to get the Bacon and Portobello Pizza($12.50) to share. Not to sound mean but this thick crust pizza tasted like the frozen supermarket variety though it did come topped with both mozzarella and gorgonzola cheese in an attempt to buff up the taste factor. 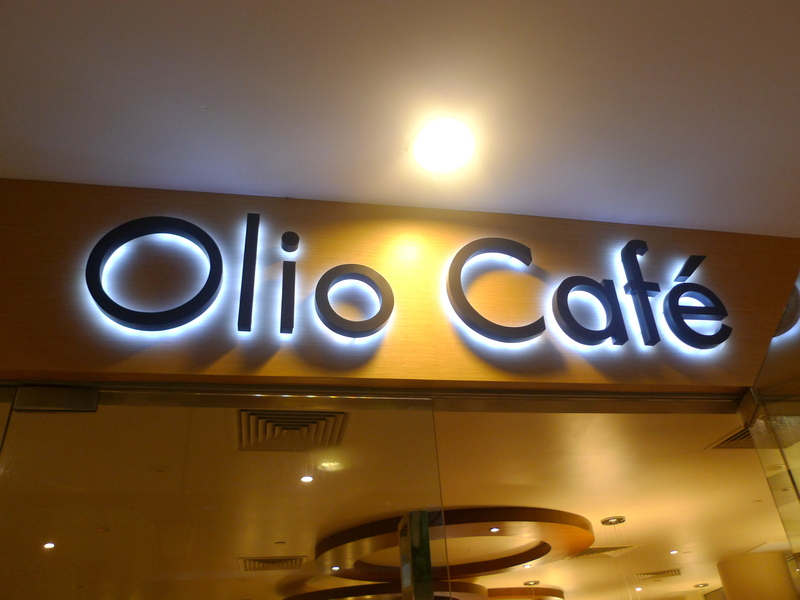 Overall, Olio Cafe is a decently priced cafe ideal for a quick bite. I have been hearing some good things about the salads and pastas so I might just drop by again sometime soon.